The introduction of a new engine variant into an existing model rarely makes the headlines but the addition of a new 1.6 D-4D engine in the Toyota Verso signifies the beginning of growing partnership between Toyota and BMW. Rather than develop its own smaller diesel engine, Toyota has rekindled its relationship with BMW to source a new more economical unit that suits the Verso perfectly. This relationship will not only see more BMW-sourced engines fitted in Toyota models - this 1.6 D-4D will go into the Auris and RAV4 next - but will also mean the two manufacturers jointly working on a two-seater sports car. What that will be remains unknown, but it will be very interesting to see how the project develops. The chain-cam 1.6-litre unit is fitted across the MINI range and powers the One D and Cooper D models so it's a well proven engine. 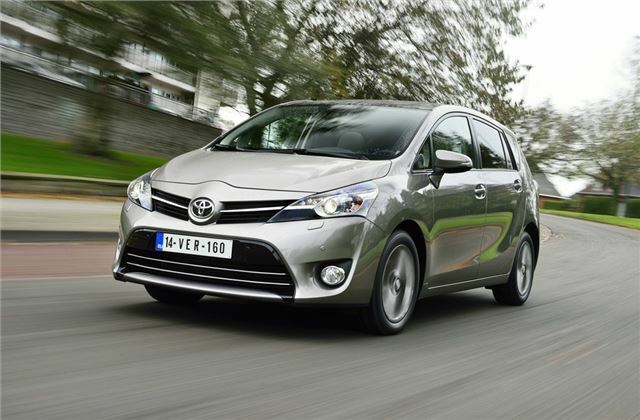 In the Verso it will be the only diesel choice, replacing the 2.0 D-4D engine but given that Toyota is the biggest global car manufacturer the question is why the manufacturer didn't develop its own smaller diesel engine? The answer is simple. Time. It was far quicker for Toyota to buy-in an engine from BMW than to develop its own. With buyers of people carriers demanding smaller and more economical diesel engines, Toyota couldn't afford to lag behind the competition - all of which have 1.6-litre diesels. Vauxhall recently launched a new 1.6 CDTi in the Zafira while the vast majority of Ford C-MAX sales are the 1.6 TDCi. For the Verso, Toyota engineers have taken the unit and fine tuned it with revised engine mounts and a new dual mass flywheel. Not only is it lighter than the 2.0 D-4D but it's also considerably more efficient. According to the official figures it will average 62.8mpg with CO2 of 119g/km (compared to 57.6mpg and 129g/km in the model it replaces). That's better than competitors like the Volkswagen Touran 1.6 TDI BlueMotion with 121g/km but behind the new Citroen C4 Picasso e-HDi at 105g/km. With 110PS it's reasonably quick, helped more by the 270Nm of torque so while the 0-62mph time of 12.7 seconds isn't much to get excited about, it pulls well from low revs and will happily keep up with fast flowing traffic. Indeed it's a very smooth engine with low noise levels and impressive refinement. It can get a little vocal at high revs but it's never coarse and there's no vibration in the cabin or through the clutch pedal. The relaxed nature of the 1.6 D-4D suits the Verso well. It's not exactly the most dynamic people carrier around but it's very easy to drive, comfortable and rides very well. The usual concern with smaller diesels is that they run out of power at higher speeds, not ideal if you're trying to overtake slower moving traffic. Fortunately the 1.6-litre unit doesn't suffer too much from this problem as it's been tuned to deliver a fast throttle response throughout the rev range. It's no ball of fire but it feels gutsy enough. While it's fuss free to drive, the Verso is starting to feel its age. The model may have been revamped last year, but the design is from 2009 and it wasn't exactly cutting edge when it was launched. It's the same story with the interior which is drab and characterless. There's no denying it is well built - this is a Toyota after all - but that's no longer good enough on its own to appeal to family buyers. It has none of the style of a C4 Picasso while the Ford C-MAX feels like a far more premium car. There are some minor design updates for 2014 and the Verso gets a new colour called Avantgarde Bronze (which confusingly looks like silver), a new 17-inch smoked alloy wheel design while inside there's a fresh cloth trim with contrasting stitching plus a redesigned gear lever. One more interesting new addition is an improved generation of Toyota's Touch 2 multimedia system. It gets a higher resolution screen, DAB and a reversing camera as standard. It's easy to use and looks far more like the kind of system you'd expect in a Toyota. The rest of the Verso remains as versatile and as well built as ever. Nearly all models come with seven seats and the rear seats all fold down completely flat if need be. The second row slides back and forth and also reclines with plenty of headroom. The rearmost row of seats flips out of the floor and are ideal for children although teenagers might find it too cramped for longer journeys. Even with the third row up there's still a reasonably sized boot with looks bigger than the 155-litre figure suggests. Usefully there's an extra and very useful compartment under the boot floor, although this does come at the expense of a proper spare wheel, instead you get a can of sealant, something we're not big fans of. A space saver spare wheel is an option and we'd recommend it. The new 1.6 D-4D engine means the Verso is now a much stronger proposition when compared with the competition. It's economical, refined and reasonably quiet too. Whether it's enough to make us recommend the Verso over other MPVs is another matter. As with all Toyota cars it feels durable and well built - plus of course it will prove incredibly reliable. But it feels quite dated now and there's little that makes it stand out.